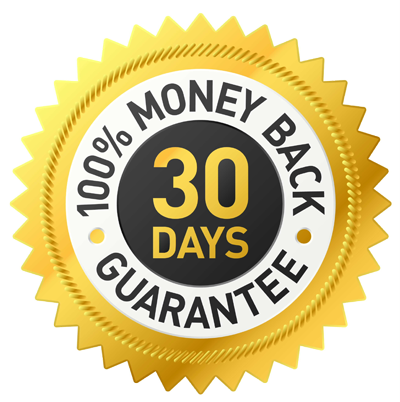 For decades Aloe Vera Wholesale has been supplying many major manufacturing companies with raw Aloe Vera extract - in Australia, Europe and Asia. 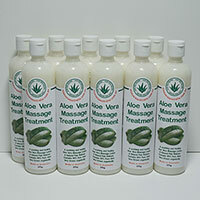 We also contract manufacture our pure Aloe Vera into products for many organizations under their own brand names. Please note: Prices above are Australian dollars. Gst and freight/shipping is not included in the above cost. Suitable for all kinds of pain, including muscle pain, strains, rashes, hives, insect bites, inflammation & other skin irritations. Apply only to unbroken skin. Helps to reduce menstrual cramp pain. Apply approx every 2 or 3 hours as needed. For Body Massage and Spa Therapists - 50g is enough for a full body massage for 1hr and leaves the client invigorated with no messy no oily residue. Excellent for foot reflexology. No harmful chemicals and completely safe! Shake well before use. 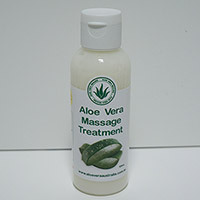 Apply to affected areas & massage in to relieve any pain & discomfort caused by muscular sprains. Re-apply as needed! Please click here to view the label and ingredients list. Please click here to order smaller quantities.